Using Video to connect globally – Collaboration gold! Skype in the Classroom and Google Hangouts are amazing tools to support the Collaboration process in the 21st Century Classroom. Learning as a ‘digital native’ needs to be fast moving, digitally driven, active and most importantly student driven. The idea of connecting with an ‘expert’ anywhere, anytime is a foreign concept to most parents and even teachers nowadays but it is the reality for our students. We need to provide opportunities for the students to own their learning and connect with people globally. We are teaching the digital natives for jobs that don’t exist yet and need to support their learning in connected ways. I am a huge believer in Skype and Google Hangouts for connecting classrooms globally. I have been using Skype in my classroom for over 4 years and have been supporting other teachers in this process for just over 2 years. It brings a smile to my face when a student driven question leads to an inspirational digital discussion. The perfect example of this occurred last week. I ran a staff PD session on using Skype in the Classroom and received several emails shortly after from excited staff wanting support with this process. 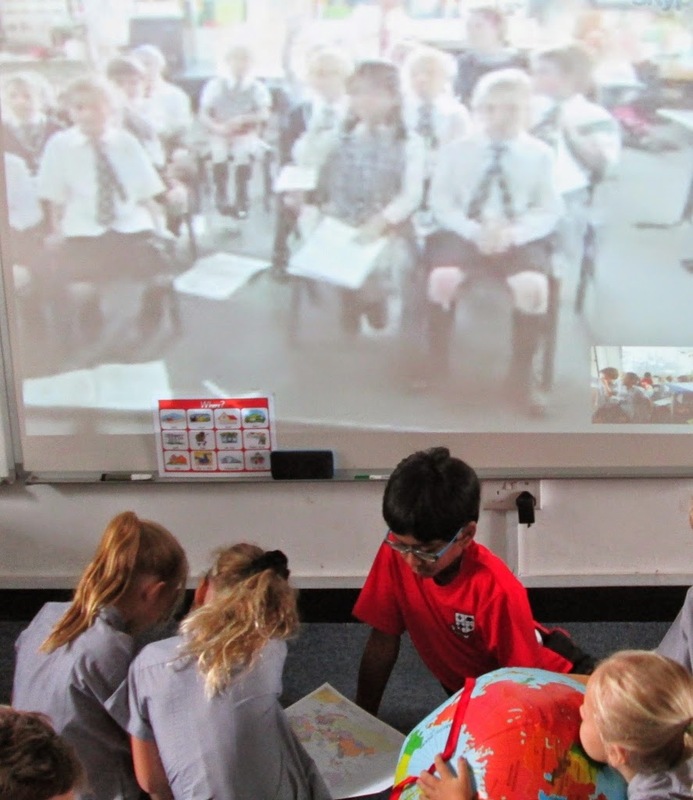 Every class at my school has been set up with a Skype account to encourage collaboration and every classroom has a webcam capable device, a mic, speakers and a projector to connect, making the process much simpler. From these emails we emailed started 3 projects. Two Mystery Skype (@MysterySkype) projects and one Space related project. The two Mystery Skype projects were easy as we are regularly running them around he school now. I am lucky that my job takes me from class to class and I get to set up and support classroom teachers to utilise such amazing resources. The best part though is seeing the smiles of wonder and awe as they connect and collaborate with others. The Year 3 students have been learning about Space and the students came up with excellent questions. After attending the Skype in the Classroom PD session my colleague contacted me to see if I could support her class to connect with an expert to help answer their questions. So …. I did what I know best and that is reach out to the community of people that are there to support each other 24/7 …… my Twitter PLN. I asked for help, “Please help”, I wrote, “I am looking to connect a Year 3 class with an expert, they are learning about Space”. The search didn’t last long. Within 24 house I had numerous connections and responses thanks to the amazing members within my twitter PLN. We managed to connect with not only Penny Pettigrew (a Space camp Hall of Famer who connects people with astronauts on the ISS), Ed Van Cise (Flight Director at NASA), but also a retired Astronaut!!! The connections continued and then last Thursday morning the student driven project was alive. They were speaking to NASA Flight Director, Ed Van Cise. Watching videos, checking out his photo collection, listening to his amazing space stories and getting answers to their questions. Ed was incredible and a true inspiration to these students who looked at him in awe throughout the process. In the next 2 weeks we are also connecting with Penny and the brilliant Retired Astronaut through the Power of Skype (#MysterySkype) and Google Hangouts. “WOW”, students were sharing after we ended the call. “I want to work at NASA” and “Imagine how cool it would be to see our planet from space”. The comments flowed as excitement continued buzzing around the room. Comments turned into more questions and excitement as they all rushed to their devices to do some more research. This is the kind of classroom I love to teach in. A globally connected one with student driven learning! Enough said …. truly inspirational. If you are not globally connected, give it a go. It is easy, free and at your fingertips. As always, just ask. I am always happy to help you get connected, get started or even pass some contacts on to you. Great share Craig. We brought in a children’s author to the school for two days last week and I was left wondering why such excitement has to be left for the physical. My only concern, other than converting the doubters about the legitimacy of it all (@murcha has some great shares on the matter too), is that the bandwidth in the school is too temperamental in the school off 900 to trust such an exercise. I think that it is one of those overlooked elements – infrastructure. It would seem that investing in quality Internet and wireless is becoming the new divide in education, sadly. Craig, I love reading your entries – such practical ideas and examples that other educators can take straight back to their classrooms and students! I often share your posts with our audience on social media and in our global learning center community for that every reason. Posts like this are perfect since our members are either connected, eager to increase how much they connect, or just starting to experiment with connections (through our PD and Classroom-to-Classroom Partnerships group). Regardless of where they are with their progress, these ideas are so helpful! A great post Craig. 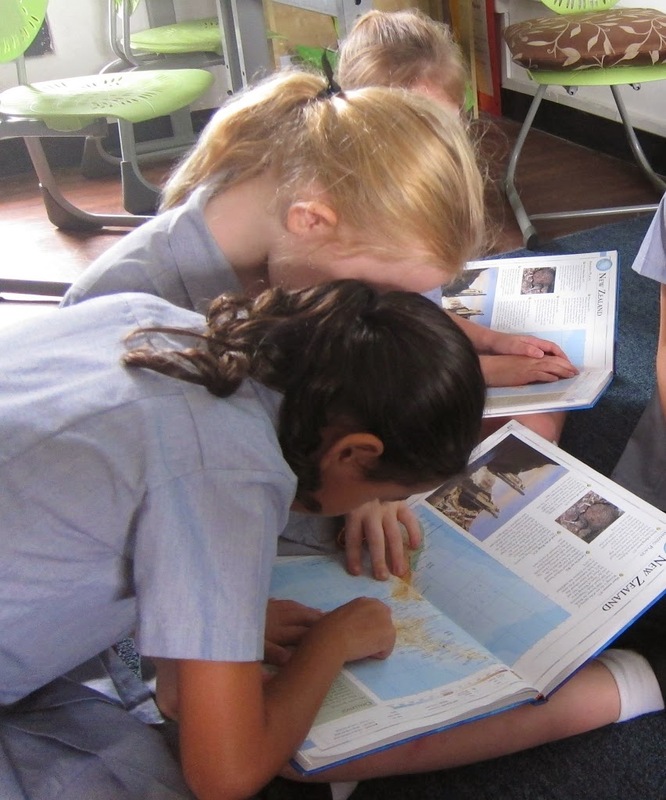 My class of Year 2/3 children in Alexandra NZ are partway through an Inquiry about being an explorer. 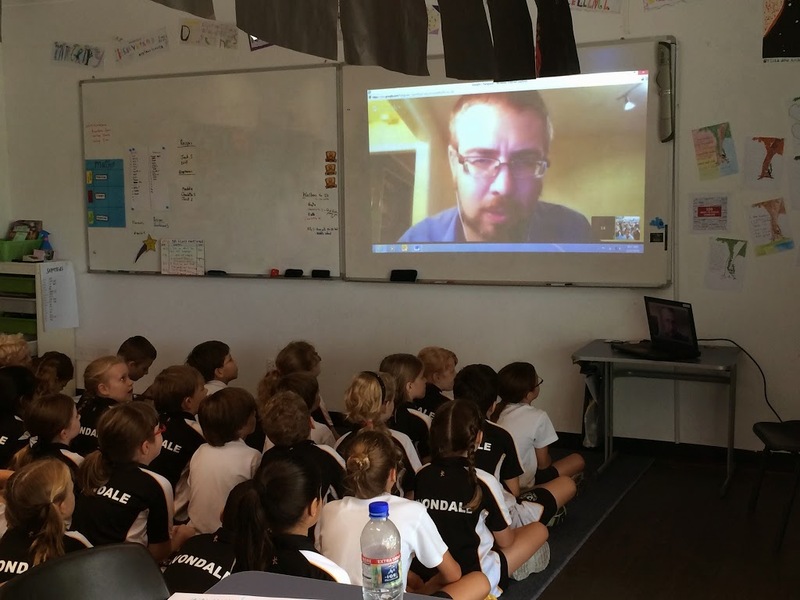 We have liked at this locally and nationwide through LEARNZ but would love to take it global and Skype or Hangout with a class that could share with us what it is like to live in another country and explore there. Do you think anyone at your school might be interested in helping us make this happen? Yeah, video conferencing is a great communication tool and web conferencing servers from RHUB; allows one to set up meetings with potential and existing clients and partners quickly; at any time.